Founded in 1816 by Eliphalet Remington in Ilion, New York, on March 1, 1873 it became known for manufacturing the first commercial typewriter. Remington started production of their first typewriter on March 1, 1873 in Ilion, New York. 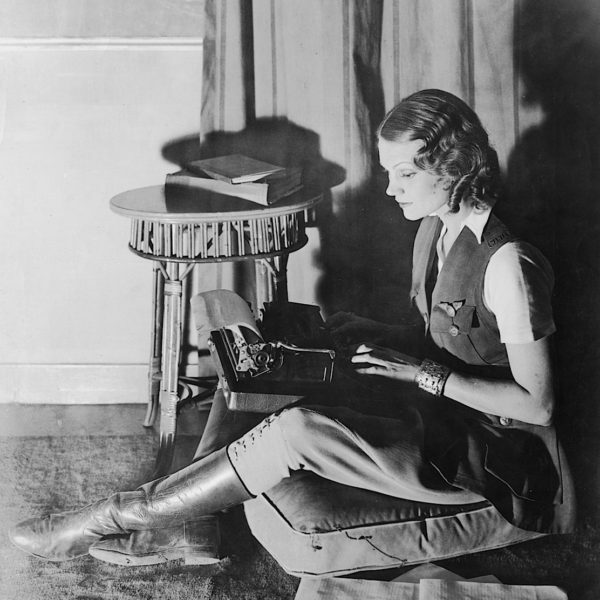 The Type-Writer introduced the QWERTY, designed by Sholes, and the success of the follow-up Remington No. 2 of 1878 – the first typewriter to include both upper and lower case letters via a shift key – led to the popularity of the QWERTY layout. 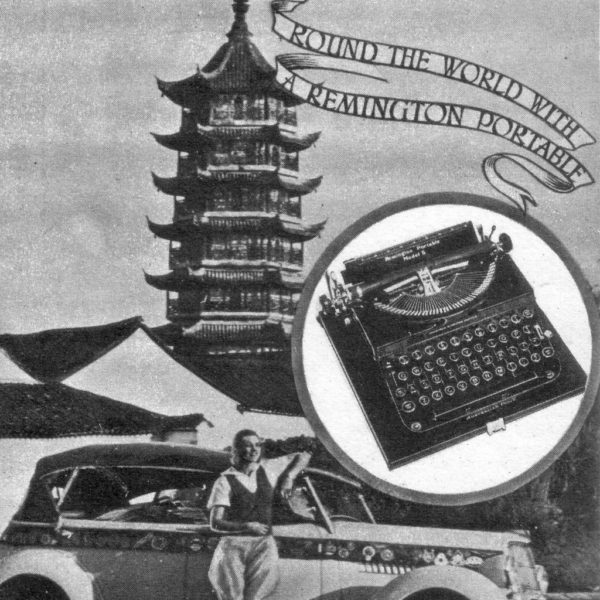 Aloha Wanderwell always traveled with a Remington portable typewriter on her adventures around the globe. 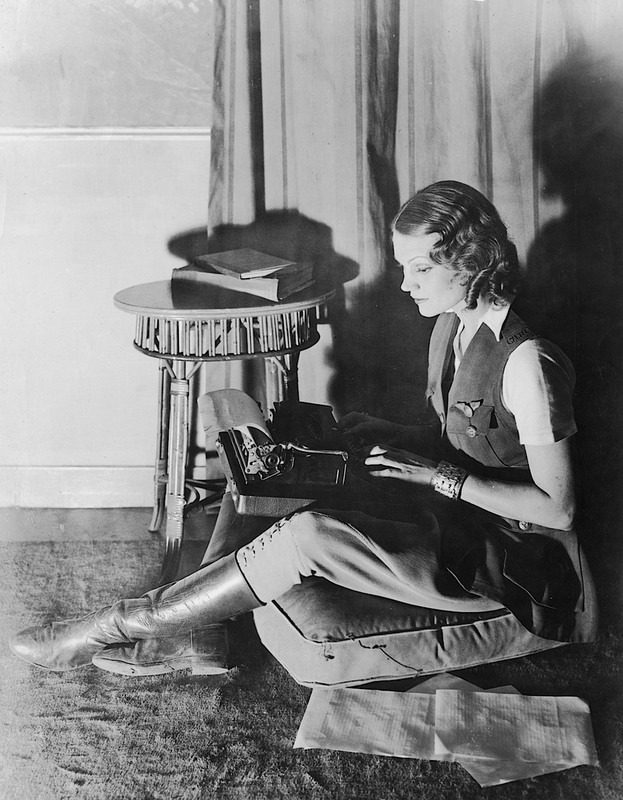 Her diary and memoir, “Call To Adventure”, was produced entirely on a Remington. 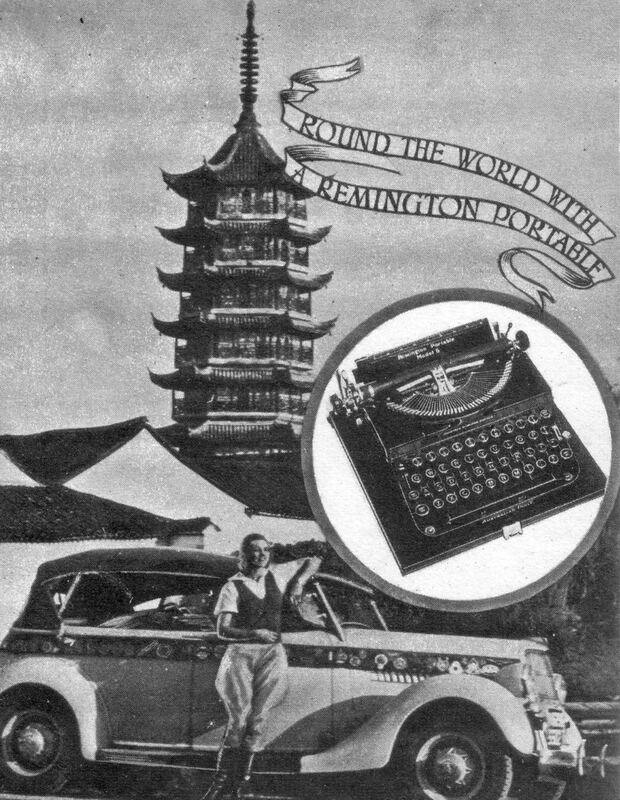 Remington proudly publicized their support for the Wanderwell expedition.